we are now on untappd! Make sure to subscribe to rate our beers and tell us what you would like to see next! Come in and check out Our new drink menu! We will be enhancing our drink menu soon with seasonal choices and staff favorites. Our seasoned bartenders created the list to meet the expectations of the visiting guests. We have a great selection of new drinks like The Blueberry Lemonade. Come on in and try the new menu, you will not be disappointed!! Located in the Historic Manchester Mill-yard, The Foundry is where modern Manchester meets the industrial revolution. 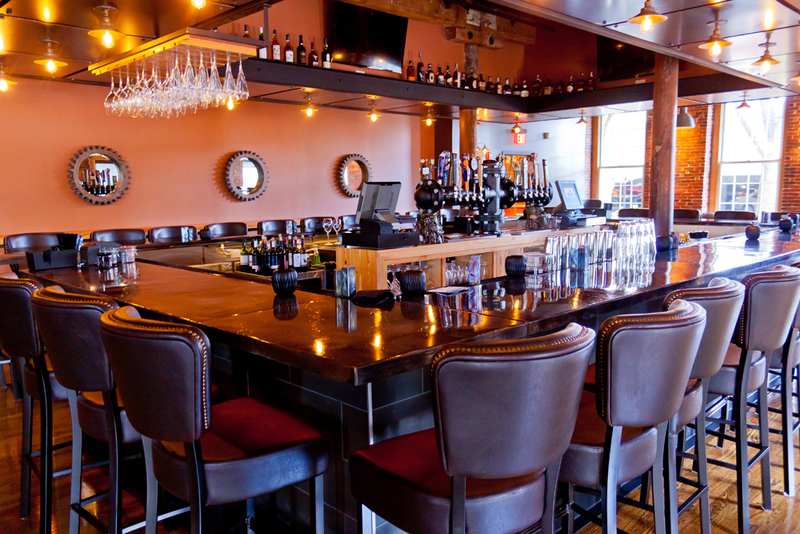 The Foundry offers deliciously balanced dishes, unique cocktails, local micro & craft brews, and an eclectic wine and whiskey list that appeals to all tastes. 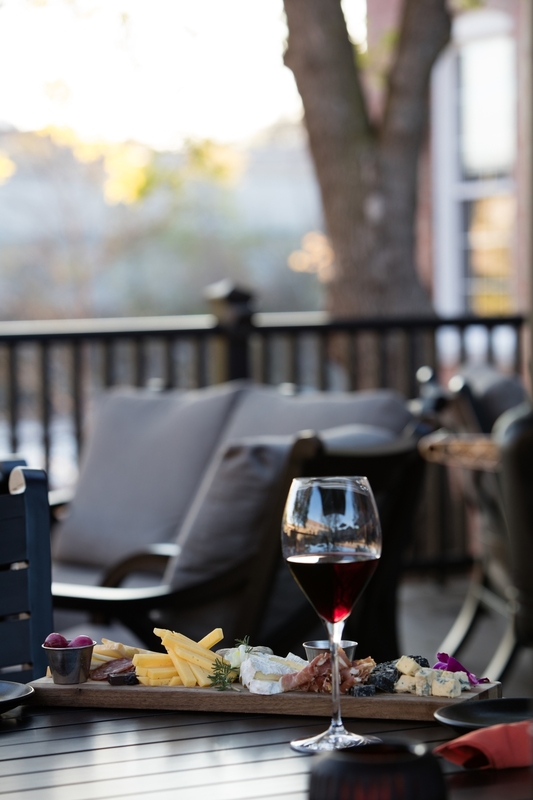 The Foundry is the largest certified Farm to Table restaurant in New Hampshire and with seasonal menu changes there is always something bold and new to try! 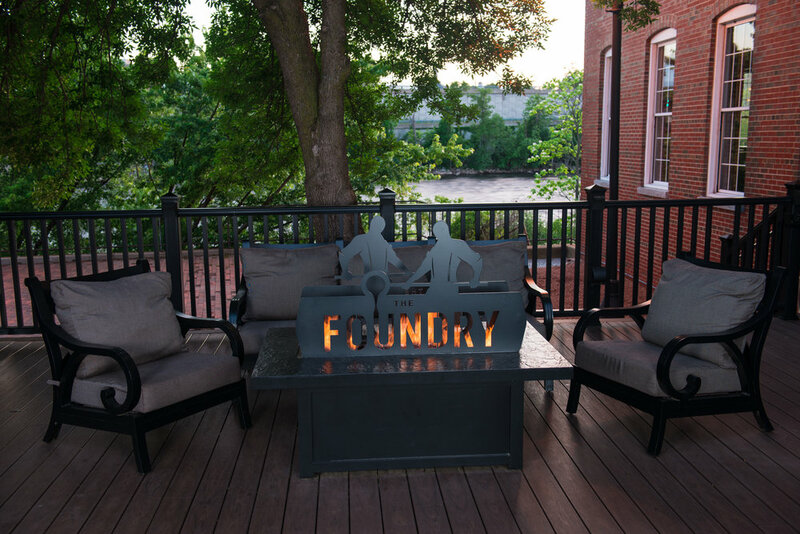 Nestled on the Merrimack River, experience beautiful views while enjoying everything The Foundry has to offer in one of our cozy riverside booths, comfortable bar-stools, couches and private dining options. We feature LIVE local musicians in our Bar & Lounge area on Thursday, Friday & Saturday nights. 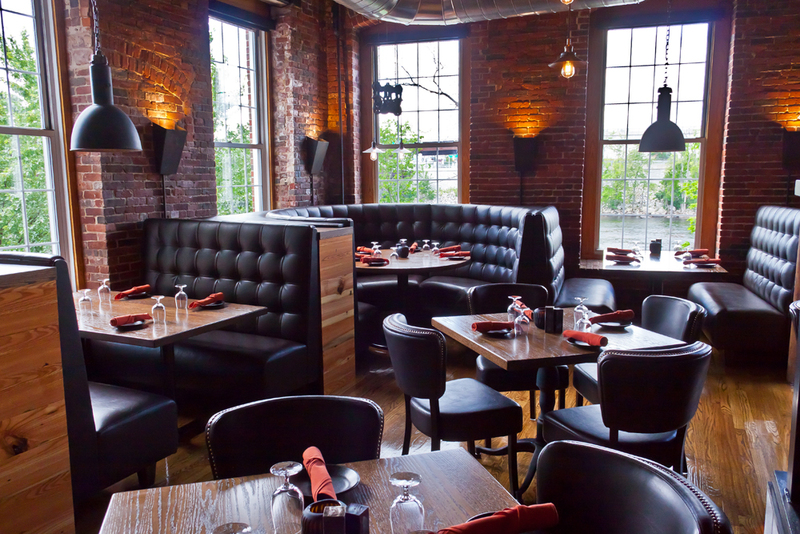 Visit Open Table to book your reservation today. All Sandwiches are served with French Fries, Mixed Green Salad or Caesar Salad. Shiraz | Lots of Love !!! WHITE BLEND Murrieta's Well "The Whip"
PETIT SIRAH Clayhouse "Red Cedar Vineyard"
RED BLEND Murrieta's Well "The Spur"
RED BLEND Valley of the Moon "Blend 41"
RED BLEND Ruffino "Modus Toscana"
CABERNET SAUVIGNON J Lohr "Hilltop"
CABERNET SAUVIGNON Robert Mondavi "Oakville"
CABERNET SAUVIGNON Stag's Leap "Artemis"
Our function rooms offer comfort and privacy for corporate events, Holiday parties, and other special occasions for groups up to 100 people with varying layouts including cocktail parties, multi-course plated dinners, grand dinner buffets and more. 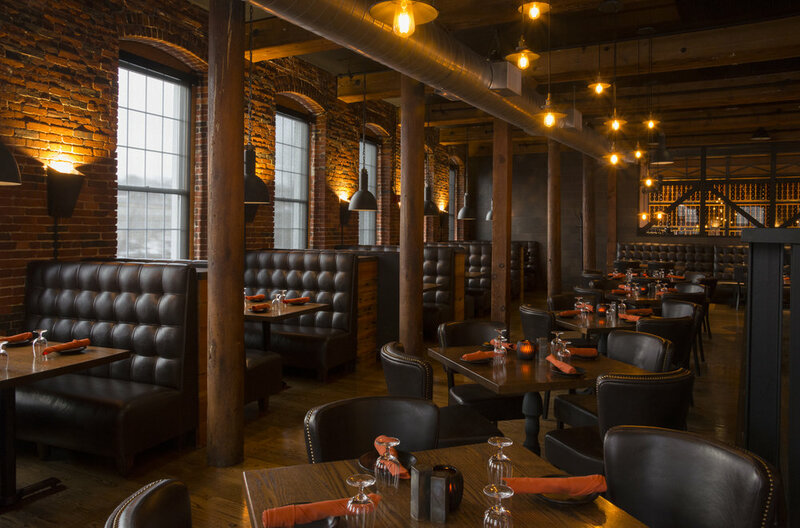 Featuring accents of exposed brick, original timber beams and columns, and large windows with beautiful panoramic views of the Merrimack River, each room boasts a warm and cozy classic New England feel that is perfect for any event. 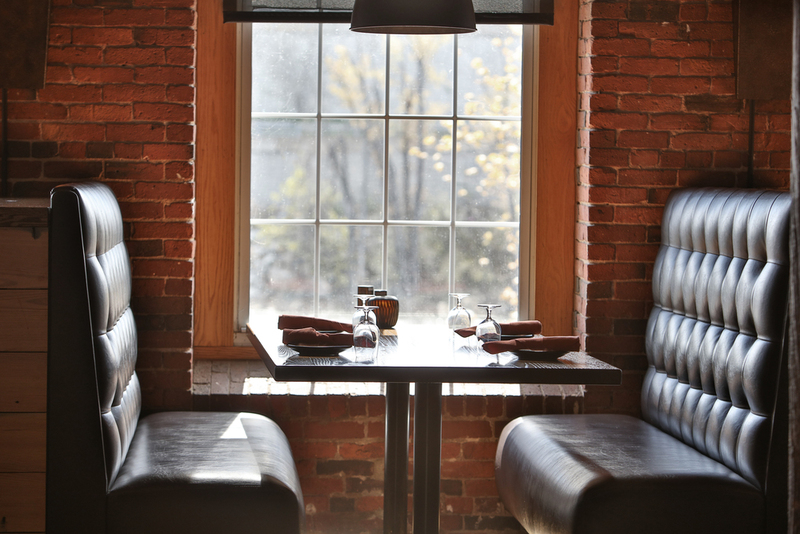 Please contact Liz Sargent at Liz@foundrynh.com for additional information including menus and pricing. 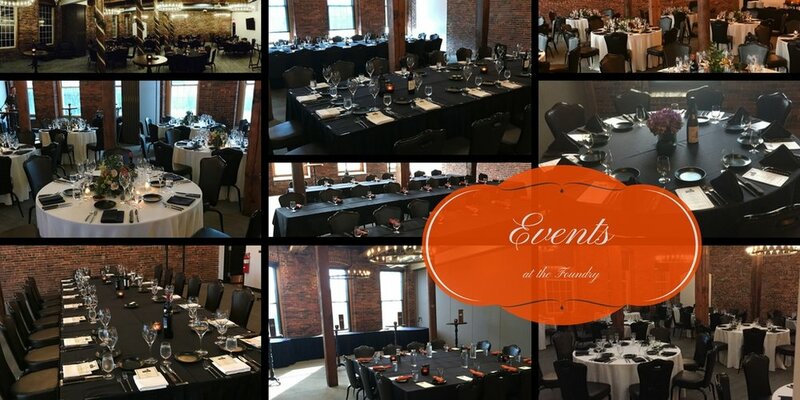 We look forward to hosting your event at The Foundry!